There are 179 items in the categories listed below. 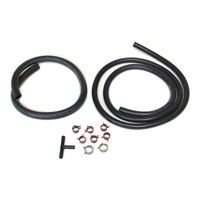 Deteriorated hoses and a leaking Gas Tank or Fuel Lines on your 1968-1982 Corvette can not only cause a terrible odor when enjoying your Corvette, but will also lead to a dangerous situation. Zip Corvette has everything needed to repair and restore your C3 Corvette’s fuel system. Reproduction gas tanks are available with and without the O.L. Anderson logo and we have all the components necessary for installation including mounting straps and hardware, lower frame supports, fuel filler necks and overflow boots or hoses. You can even make the top of your rear deck like new with a reproduction gas door or fuel lid assembly. 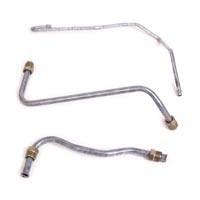 If your fuel problems exist between the gas tank and fuel pump, our gas tank to pump line kits include correctly bent TBW or stainless steel lines, and original style mounting clips, sending unit(meter) and fuel flex hoses are available to complete the connection. 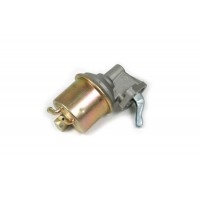 Our line of Corvette parts also includes reproduction Fuel Pumps (mechanical and electrical) and correct pump to carburetor lines with and without fuel filters depending on your Shark Corvette application. 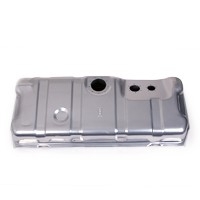 Count on Zip for all your Corvette parts and restoration needs.